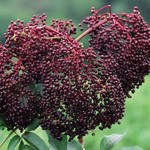 Excellent landscaping shrub with glossy green leaves and white flowers in spring, and colorful fruit and red foliage in fall. 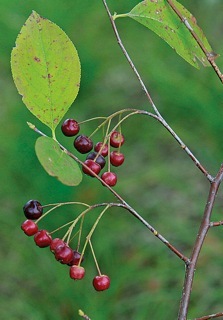 Q: Did you receive my question as to whether the black chokeberry bears similarity to the black choke cherry and whether I might make jam from the first as same as I can the latter tree? Q: Are two plants needed for cross pollination or better fruiting? A: You may get better fruiting with two plants, but you should get some fruit from a single plant.